Over the past 100 years many events and people have shaped society, not just in Britain but on a global scale. Some of these events and people have had a positive impact, whilst others have because more harm than good, creating tension and conflict and far too often the death of millions. I am going to study two major events which shook the world. 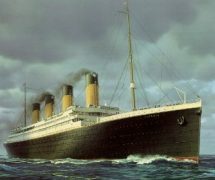 I will look first at the sinking of the Titanic, what were the causes and what were the consequences of this terrible tragedy? The Titanic was a ship and it was special because it was the biggest of its kind, it set sail on Wednesday April 10th 1912 from Southampton. There were different kinds of classes, there were 3 of them; – the working people down the bottom, then the poor people and then the rich people on top along with the man who made this ship,Thomas Andrews. The ship sank on April the 14th and the reason it sank is because they hit an iceberg. The captain did warn them that there were icebergs, but the captain left his duty for a rest and the iceberg hit at 11:35 pm. The emergency doors closed, the engines stopped. The iceberg damaged the side of the ship, the captain called for help and they started to lower the lifeboats at 12:35am, the women and the children were going in first, many of the the lifeboats which sailed first had more spaces left and they wasted loads of places. Male passengers thought it safer to stay on the ship, but the panic came later for the men. 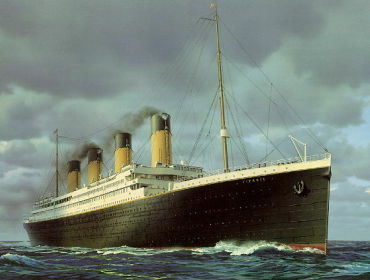 The Titanic took two and a half hours to sink, about 1500 died and 703 were saved. New safety rules were brought in after this for instance 24 hours a day wireless operations, lifeboat drills and lifeboat places for everyone on board. The other topic I will look at is the terrorist attack on the twin towers in America in 2001. The twin towers fell down on the 9th of September, on that morning the hijackers stole four planes and attacked America in a terrible way. Two of the airplanes crashed into the twin towers in New York City and the third plane crashed into the Pentagon, and the fourth plane crashed into a field in Shanksville, rural Pennsylvania. The damage to the twin towers was terrible, but they didn’t just destroy them, they damaged the buildings surrounding it. 19 terrorists and 3,000 victims died that day. Bin laden said he didn’t do it and didn’t plan this out, but later he admitted that he did it. Al Jazeera broadcasted a statement by Bin Laden on September 16, 2001, stating “I stress that I have not carried out this act, which appears to have been carried out by individuals with their own motivation . President Bush made statement saying “If you’re not with us. You’re against us”.